Working with Kevin and others has always been a pleasant experience. Any small problems have always been rapidly resolved. A great company! Kevin Murphy and his team were super! He listened to what my wife wanted (other contractors we interviewed told her what she wanted), then he produced a design that was exactly what she had in mind. Execution or the plan was a work of art. Every night after my husband has done the dishes and cleaned up, he says, “I just love our new kitchen!” All of you at Kitch-Encounters get high marks from beginning to end. I shopped extensively. Kitch-Encounters wasn’t the least expensive, but our experience confirmed my feeling that the company provided the best value. Kitch-Encounters is a locally owned and operated remodeling company specializing in design of custom kitchens and baths. 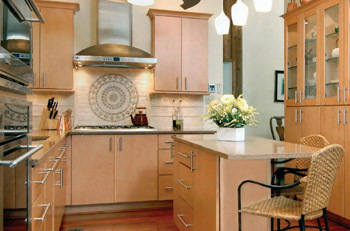 We provide cabinetry from manufacturers like Holiday Kitchens & Designers Choice that allows each client to create a customized kitchen or bathroom project. 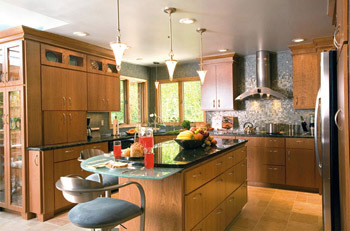 We pride ourselves as a one-stop service for remodeling and new construction. We believe that each customer deserves a great experience with exceptional quality and value.